Meet your local bloom hearing test specialist. Make your own choices, in your own time. 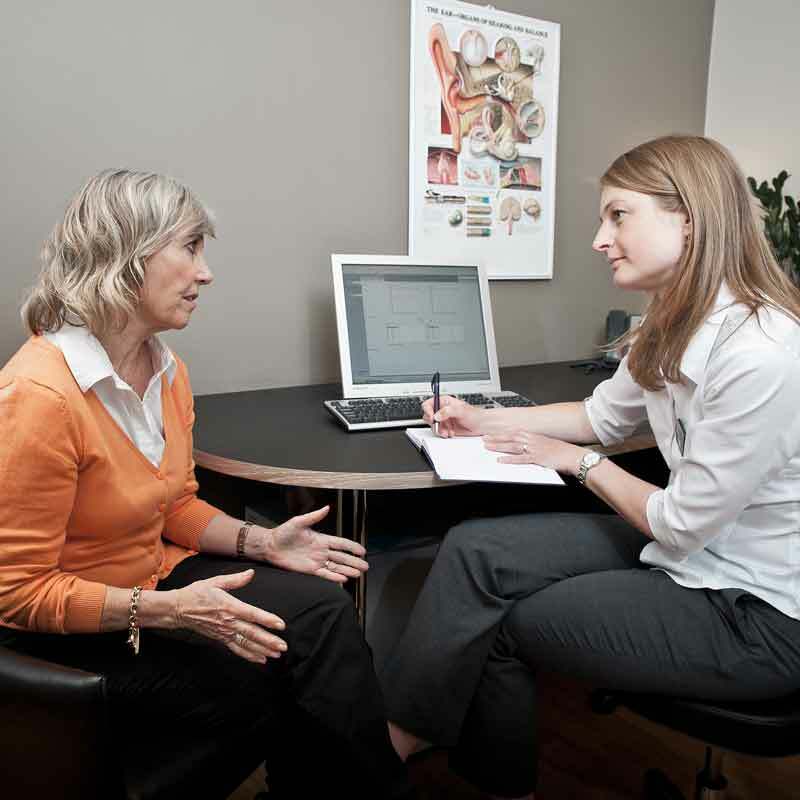 Consultations can take place in a local hearing centre or in your own home. They are free, with no commitment to buy hearing aids. Below is what a full hearing assessment (test) entails. First. Why a hearing test? Some people ask why a hearing test is necessary before you are fitted with hearing aids. The reason is simple. Normally you would have an eye test before buying spectacles to correct poor eyesight. Just as your eyesight may differ from your friend's or partner's, your hearing quality is individual to you. Without a prescription for your hearing, it is unlikely we can recommend the right hearing aids and set them up to correct it. If you or your friends notice you miss some conversation but you have not had your hearing checked - book your first appointment here. If you are over 60 - or younger but have been exposed to loud noise at work or leisure - you are more likely to have poorer hearing. Or you might already have been tested or wear hearing aids. Either way, a hearing test at least every two years is advisable. By understanding your work, leisure and medical history as they might have impacted on your hearing, our hearing aid audiologist can treat any problems. bloom™ also encourage your nearest and dearest to come with you for the assessment. Third party observations can also be important. We confine questions to what is relevant. Confidentiality is respected at all times. The medical training that our specialists have to undertake means that they can check your ears for wax, infections and ear damage. 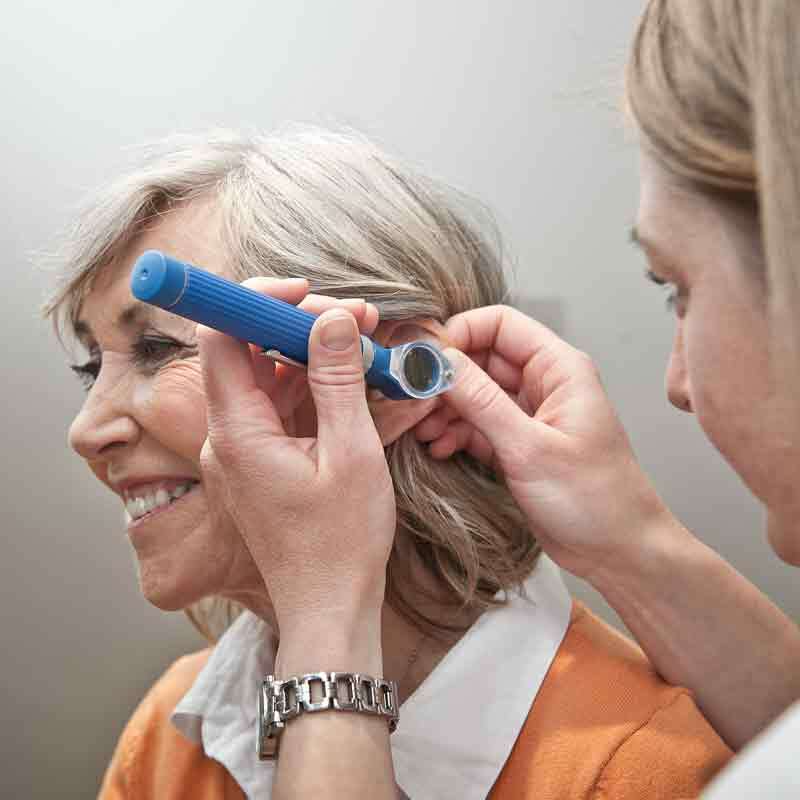 Anything evident, but outside of the scope of a hearing aid audiologist, will be referred to your GP. If clear, they will continue with the assessment. Measurement of your hearing is by recording how well you hear certain sounds transmitted via headphones. 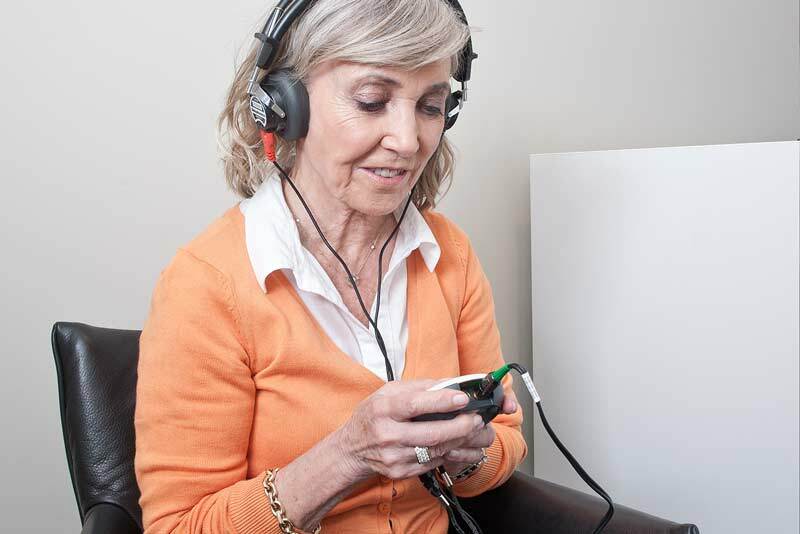 Both ears are tested to produce an accurate picture of your hearing levels, unaided. This prescription is in graph form and called an audiogram. Results are explained clearly to you. If this is your first test it will show if you have a hearing loss to benefit from hearing aids. If not we tell you. If you do proceed, the audiogram ensures we programme them correctly. The reasons why you need restored hearing are also taken into account - which is why we ask about your lifestyle - to recommend the right ones. Around 4 out of 5 people we see do not go on to buy. We understand why. Maybe your hearing is not be quite bad enough yet. Perhaps the model you need is a little more expensive than you thought (but ask about our payment plans). Or you simply want more time to finally decide. A FREE TRIAL is ideal for this. Only have a mild to moderate level of hearing loss?